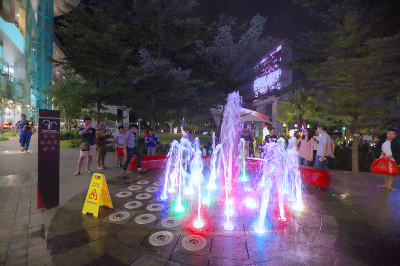 Bintaro Jaya Xchange Mall Provide some Outdoor Entertainment Facilities such as Musical Fountain. Show time at 7 PM on Weekdays, and 7 PM & 8 PM on Weekend. This Facilities Located at Parkside in the west area. 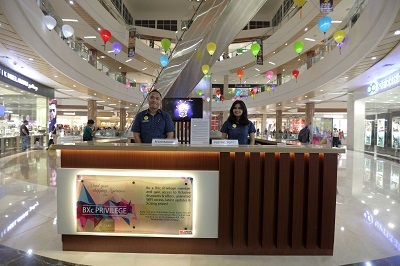 No worry to shop in Bintaro Jaya Xchange Mall. 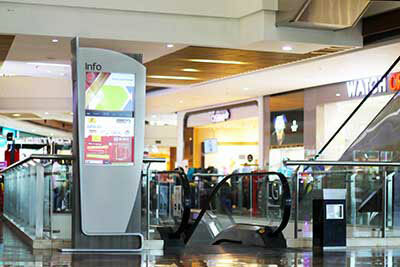 ATM Center is available in level Lower Ground. 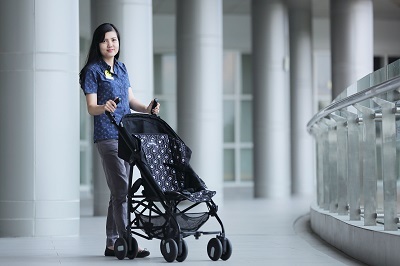 Mother now can enjoy shopping with their baby comfortly by using Bintaro Jaya Xchange baby stroller. 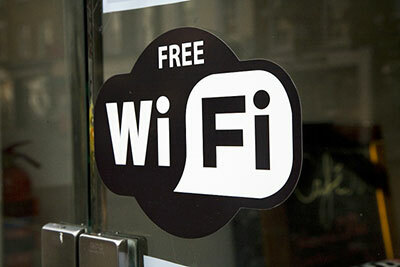 Please contact our Concierge at Main Lobby level Ground Floor. 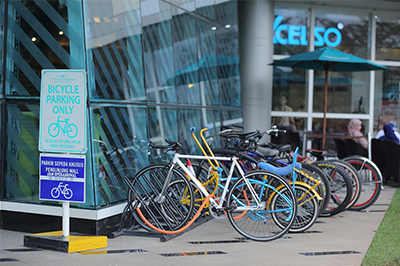 Bintaro Jaya Xchange Mall provide Bicycle Parking Area for all the Cycler. Located in West Lobby and Don't Forget bring your own padlock for safety. We Provide 12 Digital Directories to assist you Xploring Bintaro Jaya Xchange Mall which located on each floor of the Mall. 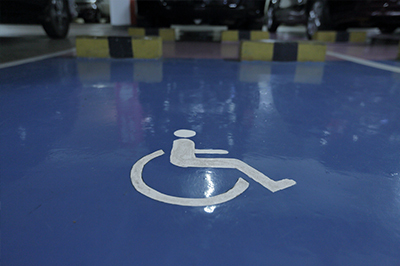 Bintaro Jaya Xchange provides Disable Parking Area in Lobby Basement 1 Parking Area (South & North) for the convenienece of the physically challenged shoppers. 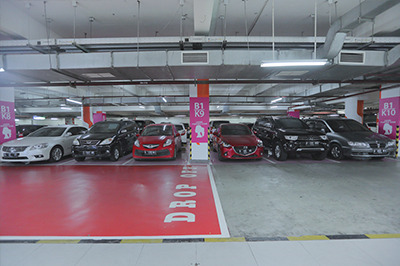 Bintaro Jaya Xchange provides Ladies Parking Area in Lobby Basement 1 Parking Area (South & North) for the convenience of the Self-driving ladies. 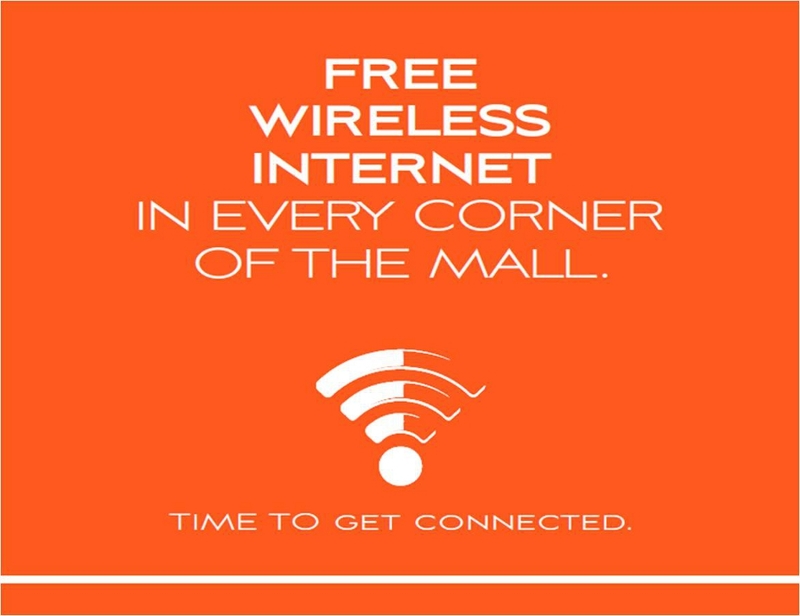 Stay connected and updated while enjoy your shopping time with Free Wifi in all level of Bintaro Jaya Xchange Mall. 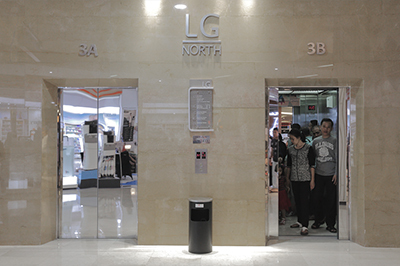 Our Lift Attendant will warmly greet and assist you inside our Customer Lift. Available in all Mall Customer Lift. Bintaro Jaya Xchange Mall Gladly support our Costumer’s healthy life by Providing a jogging track at the east side of the Mall. 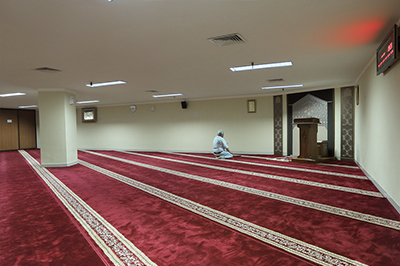 To allow our shoppers fulfill their religious obligation while shopping, Bintaro Jaya Xchange provides Customer Musholla on Lower Ground and also Staff Musholla on Parking Basement 1. 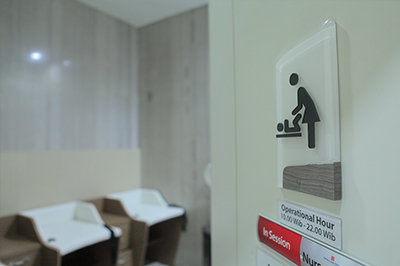 Provided for mothers and their baby, we designed nursery Room located in level Lower Ground to 1st Floor (South Area). 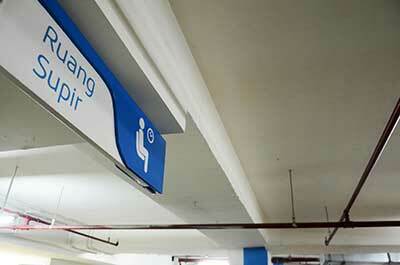 Enjoy Free Shuttle Bus plying to & from Bintaro Jaya Xchange to Bintaro Jaya CBD. 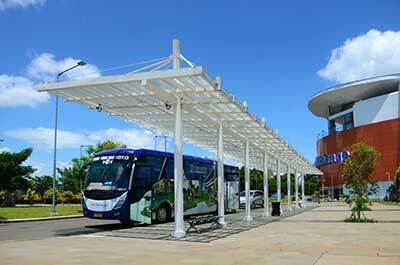 The shuttle bus service is available daily from 5am to 11pm. For more details please ask our Concierge at Main Lobby level Ground Floor. Our Valets Service at the Main Lobby Entrance & North Lobby Entrance provides you the convenience of hassle free parking service. 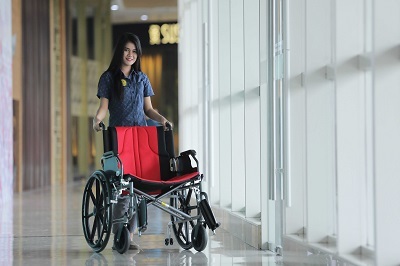 Now available Free Wheel Chair service for the elderly as well as the physically challenged to allow them to move around the mall with ease. 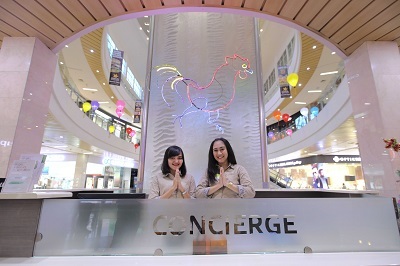 Please contact Our Concierge Team at Main Lobby level Ground Floor. 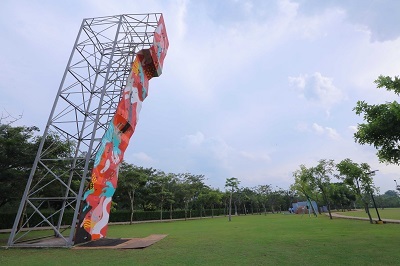 Bintaro Jaya Xchange Mall Provide some Outdoor facilities such as Wall Climbing, Skate Park, and Parkour Site. 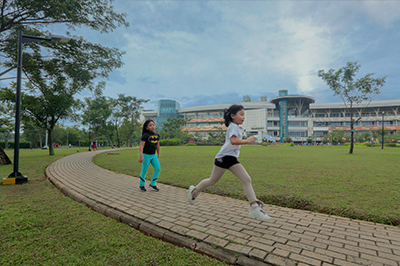 Located at Parkside in the area of Jogging track.